David Shanahan, Partner, Deloitte, Koushik Chandrashekar, Paul Collins, DesignPro Automation and Louise Kelly, Deloitte. 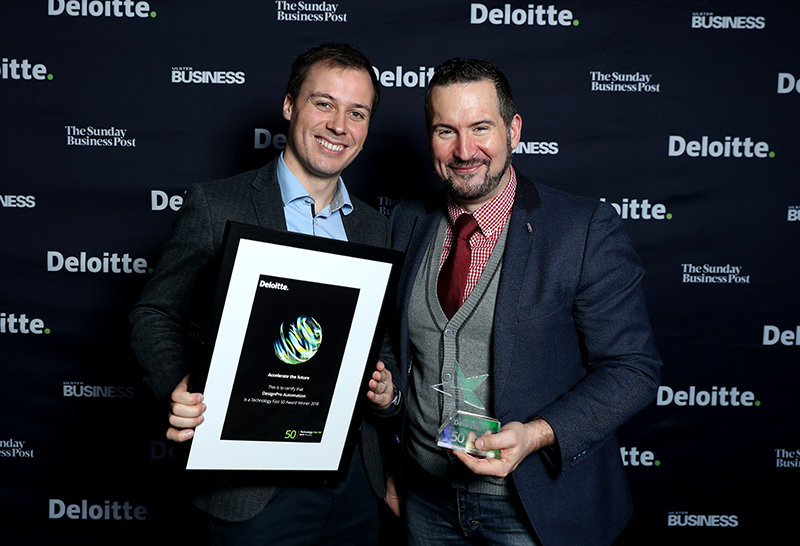 On Friday 2nd November 50 of Irelands most progressive company’s gathered in Dublin to celebrate their achievements and discover their ranking at the Deloitte Technology Fast 50 Awards 2018. 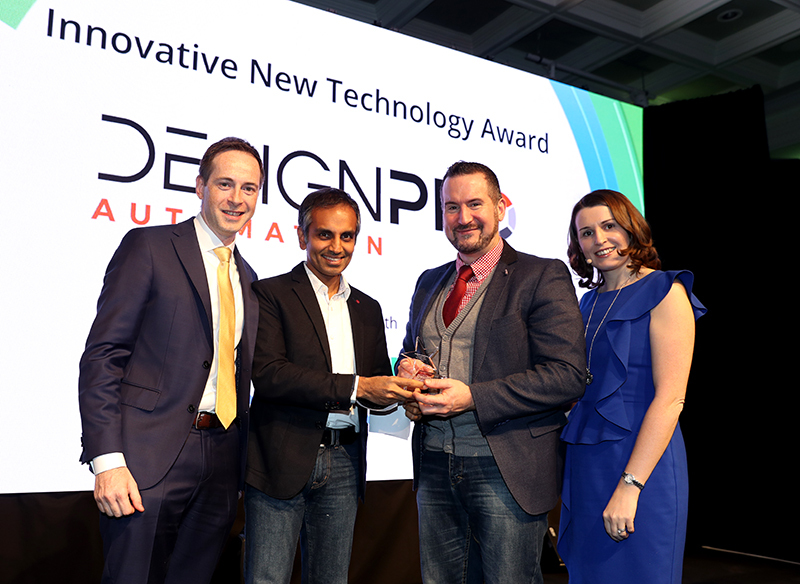 We were among the attendees on the night and were thrilled to secure the top award for ‘Innovative New Technology in association with Google’. In 2015 we received funding from the EU’s Horizon 2020 SME Instrument for a €2.7M project to commercialise small-scale hydrokinetic turbines which allowed us to establish a dedicated division, DesignPro Renewables, and it was this innovative technology that won us this overall award on the night. Redmond Mc Donnell, Financial Controller and Paul Collins, Managing Director of DesignPro.